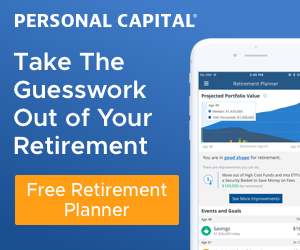 If you’re reading this right now, you’re most likely either looking for a way to retire early or you already have a plan in place. Either way, the thought repeatedly comes to my mind of ways to make retiring early happen even sooner. I run an interesting gamut of being frugal with most things but still splurging by taking cruises and other fun vacations on a regular basis. It drives me nuts to waste money on things I have the ability to control and I spend a fair amount of time trying to decrease these costs. A good example of this is cable TV. We’re now at the point where a lot of people are starting to find ways to “cut the cord.” I was one of those early cord-cutters though. Although we still have basic cable, it’s only because the cost of Internet by itself is almost the same cost of doing Internet with the basic cable. We moved to a home theater PC (HTPC) in early 2010 and haven’t looked back. Even after the costs of the computer and getting everything setup and working, we’ve saved thousands of dollars over what we would have spent had we stayed with our regular cable package. And the best part is that there’s been nothing that we miss and there’s a lot more that we’ve gained by this transition. There are other ways that we’ve cut back that don’t really seem to affect the way we live much either. For example, we do a good portion of our shopping at Aldi, which is a discount supermarket chain with thousands of stores across a number of countries. The gotcha is that when I say it’s a “discount” store, I mean it is in every way. The prices you pay are ridiculously low… but so are the services. You pay a quarter to essentially borrow a shopping cart, there really isn’t a lot of help around the store, and they don’t have bags to use. On top of that, the great majority of the food is generic. To many of you reading this, you might turn your head up and wonder why a family with good incomes are shopping at a generic food store. Well, believe it or not, it serves us pretty well. We don’t do all of our shopping there and if we run into a generic we don’t like (there have only been a few items), we don’t buy it there. But, we’ve saved a lot of money over the years, we’re happy with the food, and it isn’t a big lifestyle change for us. But this isn’t a post on getting rid of your cable or shopping at Aldi – this is a post on whether or not to make changes that actually compromise your lifestyle in order to retire earlier than planned. And in both of examples, we’ve saved a good chunk of money without affecting our lifestyle dramatically. For me personally, when I talk about a lifestyle change, I’m thinking of something more significant… such as downsizing my house. Right now we live a 4-bedroom colonial in a nice development on a cul-de-sac. It’s not anything too outrageous, but it’s in a good, friendly neighborhood where we’re happy to raise our daughter. However, the more I get sick of working, the more I start to think of other ways to expedite the plan of retiring early. Sure, 2025 will be here before we know it, but boy 2020 would be even better!!! 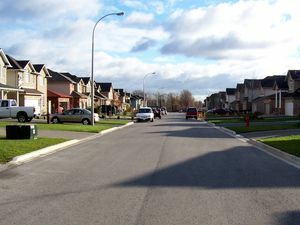 So, would I be willing to give up the nice, suburban-style, middle-class home and move into something smaller… say a 2-3 bedroom house in an area without the cul-de-sac and outside of the homeowner association? It would be tough for me to make that change. It would probably be even tougher to convince my wife to do it. But it is something I think about. If it got me closer to retirement, that would be fantastic. However, would it change anything for our family? Would being in tighter quarters cause more arguments than we would have otherwise? Would my daughter grow up in a worse environment… or possibly better? Who know? So the question becomes, should you compromise your lifestyle to retire even earlier? It’s hard to tell what effects changes might bring on, but moving into a smaller house elsewhere seems to be a bit selfish on my part. We’re far from living in a mansion on a hill somewhere and downsizing now seems a bit rash. It would definitely help me to be able to get out of the rat race earlier and I’m all about cutting unnecessary expenses, but I think this is one lifestyle change that we’re not going to be making until our daughter moves out. How about you? Have you made or considered any major lifestyle change to help you get closer to an earlier retirement? ← Dividend Stocks on Sale!! It’s quite difficult to find the right balance there, isn’t it? The whole point of retiring early is to improve the quality of life, so compromising too much of that might contradict your goals. Since we’ve never been able to spend much on a house or luxuries our main focus is to prevent lifestyle inflation rather than cutting back. That’s an easier position to be in now that I think of it. That’s a fantastic way to do it! I had a friend of mine once tell me that as you do better in life (promotions, raises, etc. ), it’s almost second nature to increase your lifestyle. If you can avoid that increase, you’ll come out worlds ahead. I think it’s worth experimenting with compromise on every aspect of “lifestyle” in pursuit of FIRE. Some things are easier to change than others, but why not try living without cable, or without dining out, or without a high-end car or big house for a while? Some of those compromises will be uncomfortable and undesirable — and you can always make the conscious decision to reintroduce those things that you value most back into your life. Other expenses, you might not miss at all. I’ve known people who said they could never go without cable TV, for example — then once they were rid of it, they didn’t think twice about it. Absolutely true – figuring out where you can cut costs can make all the difference in the world. I actually kind of enjoy the game of figuring out where we can save even more money and it’s definitely a win each time you’re able to make it happen! We’re FI, and we did it last year aged 43. How? By downsizing from a 3 bed detached house to a 2 bed semi then again down to a studio apartment which we use when we’re not travelling in our motorhome. We sold most of the stuff we owned. We binned off all TV, including the TV itself. We shop at Lidl and bought our clothes from charity shops. We eat out infrequently and don’t splurge a great deal. Sound grim? Yep, sounds a bit radical even to me, but we’re now living a dream life for us. We travel as much as we want (blogging at ourtour.co.uk), we have a crash pad in the UK whenever we want it, and we don’t miss buying stuff. We **could** buy pretty much anything we want by the way, and that’s the magical part in all of this – getting to a point you can buy stuff, but not actually wanting to. Weirdly our income will rise as we retire and private pension plans, and then the UK state pension kicks in, so our ‘real’ retirement will be more affluent than our early retirement. Weird, but real. That’s awesome, Jason! The key is to find what works for you and it sounds like you found it for you! Not sure I’m ready to downsize to a motorhome, but I do know people that have done it and love it. I’m in a similar boat with income increasing later as retirement continues. We’ll be a little tight for the first 5 years during our Roth IRA Conversion Ladder and then be in much better shape. And then our rental properties start getting paid off so it will increase even more as time goes on. The balance is key for sure. I think that when you are making an individual decision about something and trying to determine whether or not it’s “too far” is to look at the risk/reward of it. For instance, if you are saving $100 per month by not having cable do you feel like you are “losing” $100 worth of entertainment? I bet for a lot of people they are only using about $20 worth of the entertainment each month (few movies and a handful of shows each week). In this case you would have a net “savings” of $80 each month – still way worth it! That’s a good way to look at it, Josh – thanks!! I struggle with this question. You don’t want to miss out on life while you’re heads down gearing up for early retirement. I think the Mad Fientist wrote something about this last year… We enjoy travel, so racking up credit card bonus points helps keep out ER goals on-track. Oh how true this rings!!! I cut the cord 10 years ago and haven’t looked back. Someone just told me Donald Trump was elected president! Just kidding. And ALDI too!!! I’m originally from England and its big over there. My family always does taste test better the ALDI generic brands and the name brands. These are not the only internal conflicts I have in regards to retiring early but we will leave that for another day or post. Quality of life is important! For you and those you can help by feeding them with knowledge or actual food. I actually heard recently that Aldi is now at the point where it’s starting to disrupt the whole grocery industry… good news for consumers! Agreed to cutting back on your lifestyle to enable people to retire earlier. There’s also the costs with working that you won’t have when you retire (transport to/from work, work clothes, etc). I think you shouldn’t bail out too early though, make sure you have a “cushion” so you aren’t over-stretching yourself. And with all that free-time on your hands you can probably earn money doing things you enjoy. For example, blogging, writing, arts & crafts, etc. Great points! I’ve been setting up this blog as one avenue of side income once I quit the 9-5, but, just like you said, I’ll probably find some other ways to earn money as well. This is something we think about often, the balance between saving for the future and living life now. We really try to focus on living a balanced lifestyle and not be dogmatic about our approach. We keep an open mind and are willing to change things up when needed. We’ve done a pretty good job of cutting our expenses and living pretty lean without impacting our happiness. It’s something we’ve honed over the years. There are definitely things we continue to spend on in order to enjoy our lifestyle and it’s important to not lose site of those just to save and extra $1 or $2. I took it too far one time and my wife let me know it. We were going around the house looking to sell or get rid of things we didn’t really need or want. I was looking at absolutely everything in the house and trying to decide if the money we could get for it out weighed having it. This leads me to my wedding present. My wife got me a really great watch as a wedding gift that I absolutely love. It’s expensive and we could sell it for a good chunk of change. I asked her what she thought and she was not happy! I clearly had taken my frugal/minimalist approach too far. I love the watch and she loves the watch. She got a ring and I got a watch. To her, it’s my ring. It’s something that she worked hard to be able to give me. I didn’t realize how she felt about it and am so happy that she told me because now it means even more to me too. That’s a long way of saying, you can take this cost cutting frugal living a little too far sometimes. Balance is so important and the better you are at balancing the more enjoyable the journey will be. Wow, that’s a really telling story! Definitely puts things in perspective! I think you bring up a good point too about not losing sight of the things you enjoy just to save a buck or two. Sometimes when we’re on the journey toward FI we start to get a little too obsessive over reaching the finish line and that can be a real problem. Our family example is more like Jason Buckley’s. We sold our expensive home to increase our savings and avoid being “house rich” and “cash flow poor. That alone gave us close to $2.3K per month in savings when we moved to a 3/2 apartment about 1 mile from our home. 6 months after moving to the apartment, I retired and our FIRE life started on May 2018. We went from 2 cars to 1. 6 months after that, we purchased a lot and a new mobile home on a convenient location in San Antonio, Texas ($10 Uber to the airport). It is our crash pad and home to our college student son. 2 days after my FIRE date we went to Missouri for our son’s college graduation. What would have been a rushed weekend, became 10 days of fun. 3 weeks later, my wife, our 3 sons and I went to a 42-day European vacation. It was epic and only possible due to my FIRE status. 8 weeks later we were in Florida for a month with our in-laws. We took a cruise from Miami for a week and came back to Florida. We were back in Florida for Thanksgiving weekend and after 2 weeks, we were in Puerto Rico with my family that lives there. We spent an amazing 6 weeks in Puerto Rico before being forced to return to Florida for another month. The freedom and flexibility that downsizing and prioritizing has given us is amazing. Although I occasionally think about our beautiful home on the water, I will never give up what I have now to return to it. It is important to remember that the vehicle that takes you to the edge of the lake (FIRE), is not the one you use to cross it. Once you get to the shore, it is best to get out of your car and jump into something that can float and move!! Viva la vida FIRE!! Now that’s a story with a great ending, Ricardo! Congrats on reaching FIRE and definitely making the most of it!